On the whole, I enjoyed this book more than the prequel, The Gatekeeper. 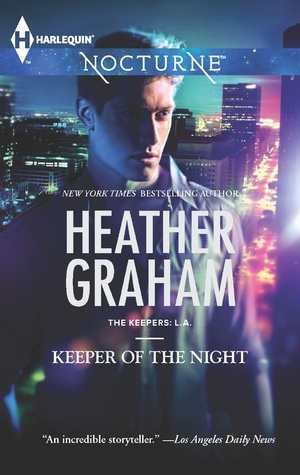 As a longer novel, it had a little more grunt and there was more time for Ms Graham to develop the plot and the characters. The storyline kept my interest even though it didn't feel like anything I hadn't read before. The characters were okay; although, I would have liked a little more depth in their personalities as at times they came across a little stereotypical and bland. Still, this is a good general paranormal romance for those who like the genre and aren't looking for anything overly inspired. If you come to this book expecting nothing more than a bit of fun and some romance, then you won't be disappointed. If you're looking for something to redefine the genre, this probably isn't the book for you.